One of my favorite things about our new covered back porch is that the outdoor toys can now be stored… wait for it… OUTDOORS. What a novel idea! Before, we had no weatherproof space to store them, so they were kept in baskets on a baker’s rack in our kitchen. Definitely an odd place to store them, I know, but it made the most sense at the time since the door to our backyard is right off of the kitchen. However, the baskets were always overflowing onto the kitchen floor causing tons of clutter, and the kids were always trying to play baseball and golf in the house. Not a good thing. You can probably imagine my delight when I realized that we had space to put an outdoor cabinet on the back porch! To decide how to organize the toys, I cleaned out the current baskets and sorted everything in piles to determine how many categories we have. We have a decent amount of sidewalk chalk, a sizeable amount of bubbles, a ton of balls, and a pile of sports equipment – a t-ball set, a basketball set, a golf set, some beach toys, and a few other miscellaneous items. I knew that we wanted a safe, dry place to house all of these items so I took to Amazon (my favorite) to see what all was out there. I immediately loved the Suncast Elements Outdoor Cabinet because it’s spacious – 40 inches wide – and it has a shelf. 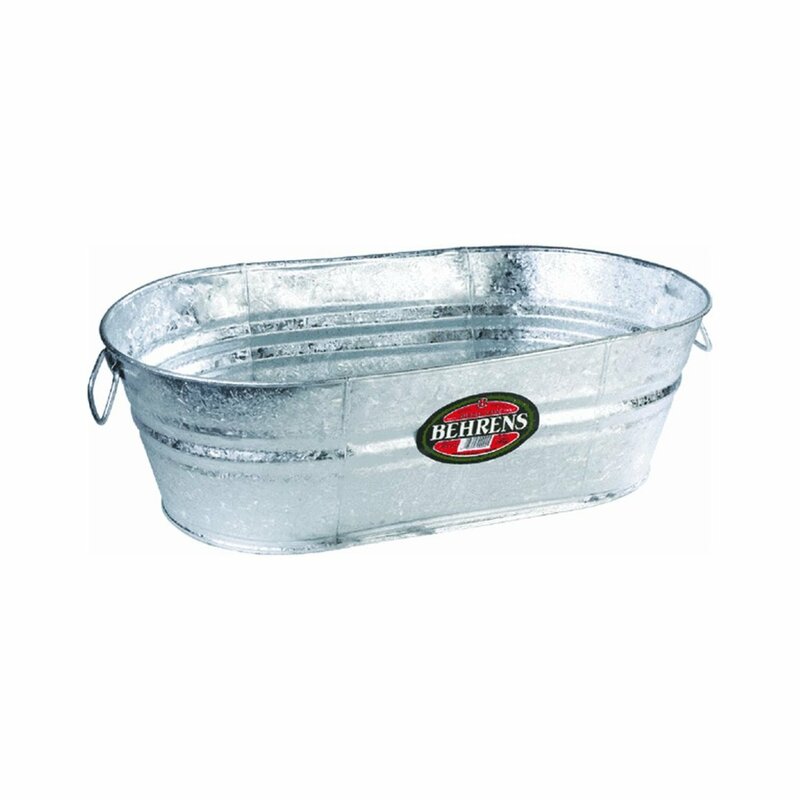 Plus, it’s rust, rot, and dent proof, so it seems durable enough to last a long time. Once we settled on that cabinet, I noted the dimensions and continued my search on Amazon, this time for storage buckets to organize the toys within the cabinet. 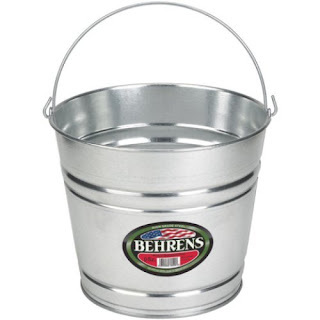 I love the look of a good tin bucket. They are sturdy, they are perfect for outdoor use, and they are very stylish right now. 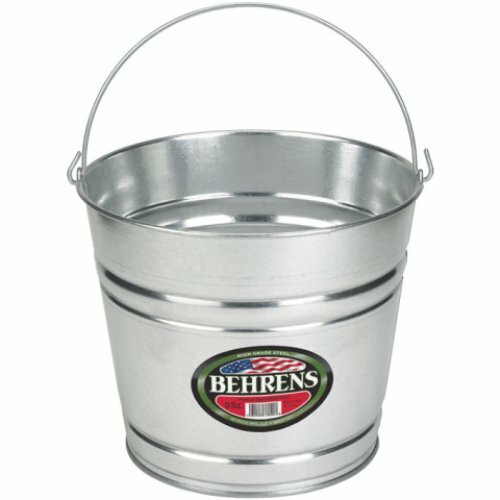 I found these 10-quart galvanized steel pails and three of them fit perfectly across the top shelf of the cabinet with not much wasted space. They are perfect to hold the bubbles, balls, and sidewalk chalk. I also found this 16-gallon steel tub that fits just right across the bottom of the cabinet. It. Is. HUUUUGE. It could not be more perfect for all of the sports equipment and miscellaneous items. I also bought some chalkboard labels and a chalk marker to make labels for each bucket, so everything is easily identifiable. Now, every single outdoor toy that we own is stored in one place, they are outside where they belong, and they are organized and labeled. All we need now is some cooler weather so the kids can actually play outside and enjoy them! OMG I love how you organized this!! Hahahaha, my initial thoughts exactly... every time they start dirtying it up I wanna say, "NO, IT'S TOO PRETTY!" Lol. 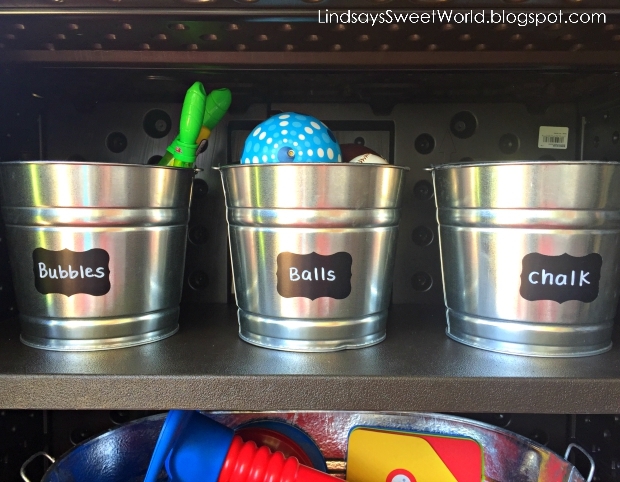 I love the buckets with the chalk board labels! So cute and functional! Yes, I love me some chalkboard labels! You can use them ANYWHERE! Whoa, whoa, whoa! How did I miss this?! I love this! Girl, you have so many good ideas!